This Tornado® jumbo electric industrial wet/dry vacuum is the perfect addition to any industrial manufacturing setting. It excels in recovering heavy oil, heavy solid debris, sawdust, ultra fine powder, sand, oil dry, and metal shavings. If you need something that is not quite so heavy duty, take a look at our complete line of jumbo external filter wet/dry vacuums, which includes our single external filter industrial vacuum. Many competitive vacuum systems use waterlift as the primary measure of effectiveness and power. In a heavy industrial application, however, such vacuums may lack sufficient airflow (cubic feet per minute, or CFM) to meet requirements. A unit's CFM tells the true story of its capability in bulk recovery environments. 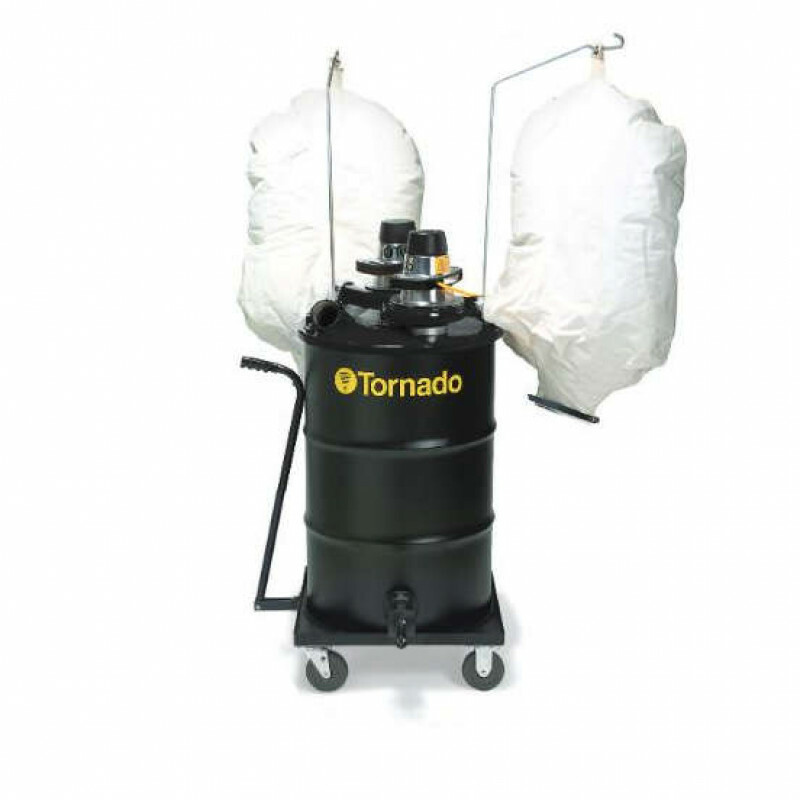 With high-levels of airflow, like the 340 CFM on this model with a 3" orifice, our jumbo wet/dry vacuums with external filters are ideal for rapid, efficient high-volume debris recovery. 24" x 25" x 72"
Customers who were interested in the Tornado® Sand, Oil & Metal Shavings Vacuum - 2.25 HP Electric were also interested in the following items. This is a review for the Tornado® Sand, Oil & Metal Shavings Vacuum - 2.25 HP Electric.